General Reasin Beall Homestead. 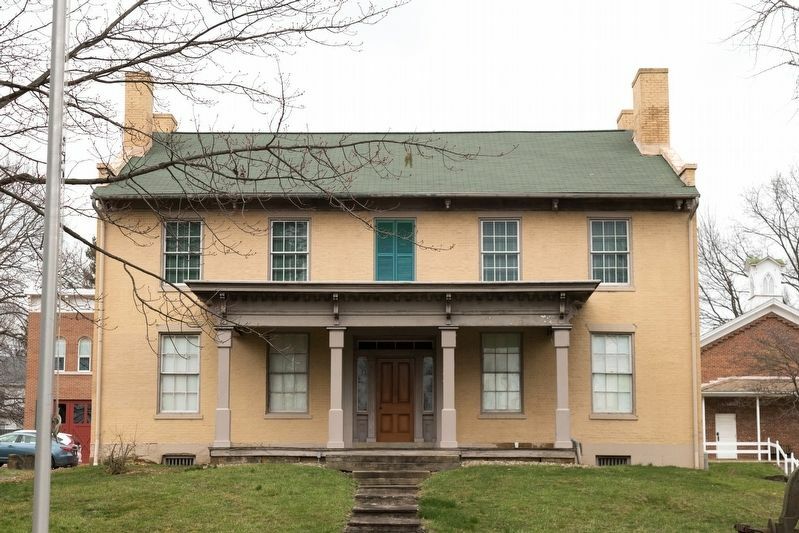 Built in 1816 by General Reasin Beall and his wife Rebecca Johnston Beall, the homestead is recognized as the oldest existing residence in the City of Wooster. Born in 1769 in Maryland, Reasin Beall came to Ohio in 1801. In the War of 1812, he was promoted to brigadier general of the Ohio Militia. After the war, Beall served one term as a Republican to the Thirteenth Congress and ten years as register of the land offices at Canton and Wooster. After Beall died In 1843, his daughter Elizabeth and son-in-law Joseph Stibbs II received his house. to the society. 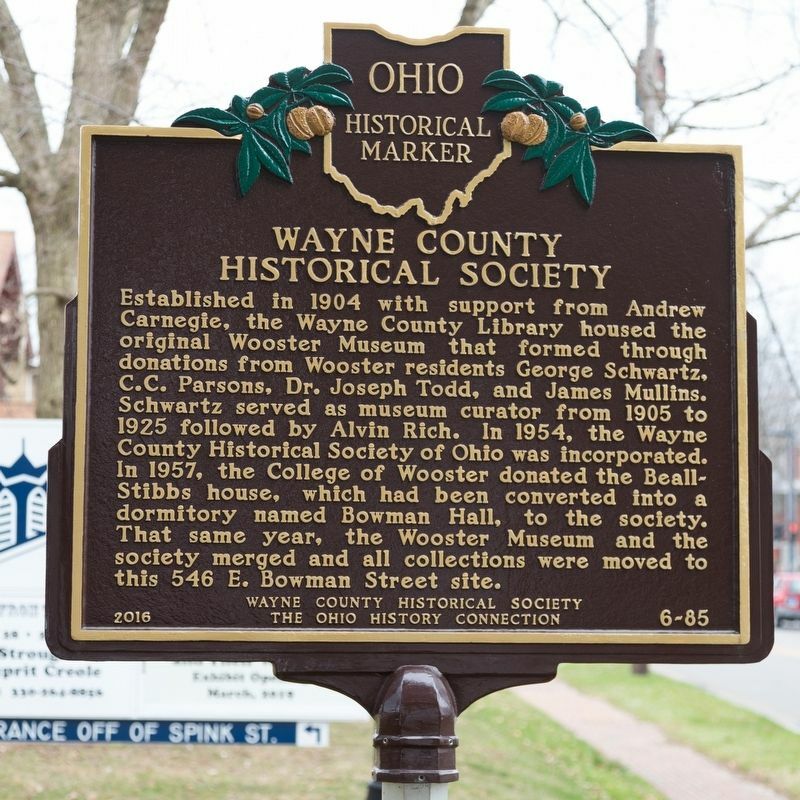 That same year, the Wooster Museum and the society merged and all collections were moved to this 546 E. Bowman Street site. Location. 40° 48.303′ N, 81° 55.985′ W. Marker is in Wooster, Ohio, in Wayne County. Marker is on East Bowman Street east of Beall Avenue, on the left when traveling east. Touch for map. Parking around the corner at Spink Street. Marker is in this post office area: Wooster OH 44691, United States of America. Touch for directions. Other nearby markers. At least 8 other markers are within 11 miles of this marker, measured as the crow flies. Harvey Howard House / Central Christian Church (Disciples of Christ) (approx. half a mile away); Wayne County Soldier’s Monument (approx. 0.6 miles away); Twenty Pounder Parrott Guns (approx. 0.6 miles away); To the Heroes (approx. 1.2 miles away); Ohio Agricultural Experiment Station (approx. 1.6 miles away); Barnhart Rice Homestead / Frederick Rice (approx. 1.7 miles away); Historic John Mishler Weaving Mill (approx. 5.8 miles away); Sonnenberg Settlement 1819 (approx. 10.7 miles away). 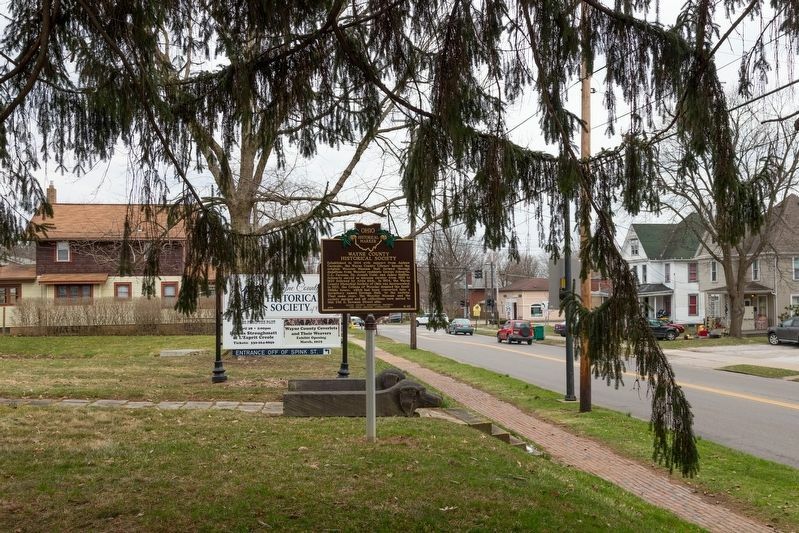 Touch for a list and map of all markers in Wooster. More. 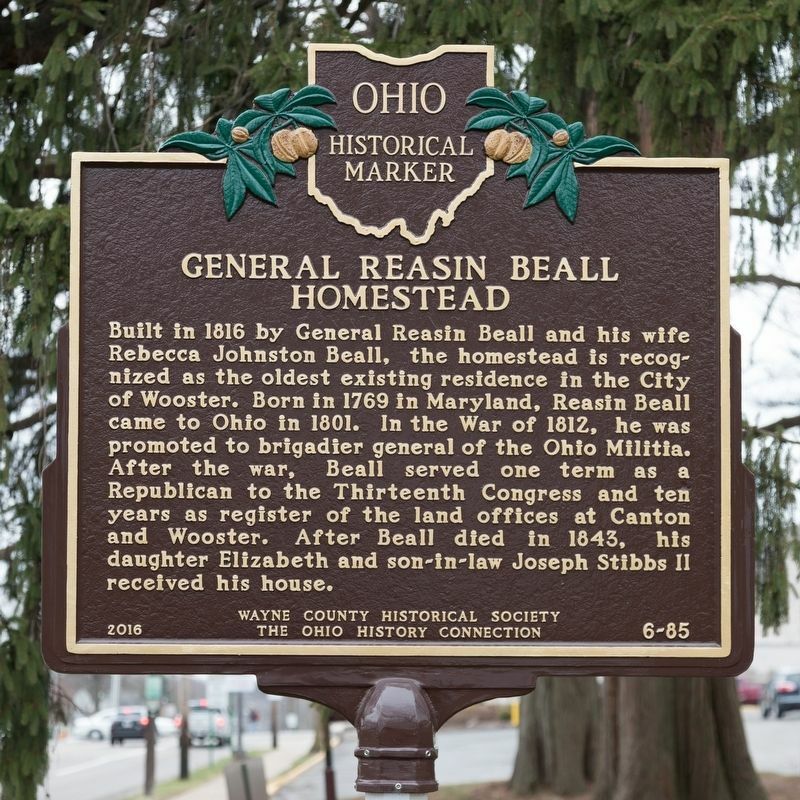 Search the internet for General Reasin Beall Homestead / Wayne County Historical Society.